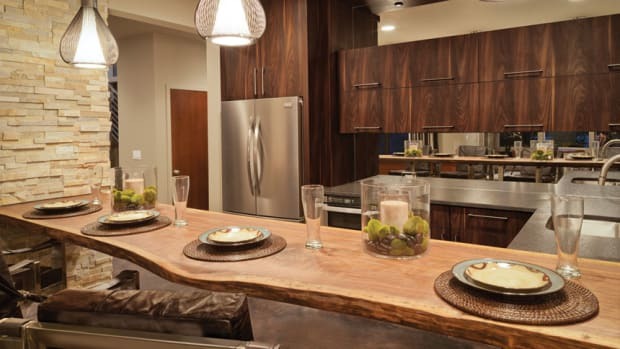 Whether a woodshop produces kitchen cabinets, furniture, architectural millwork or flooring, it can count on Sherwin-Williams to help take the guesswork out of the finishing operation. 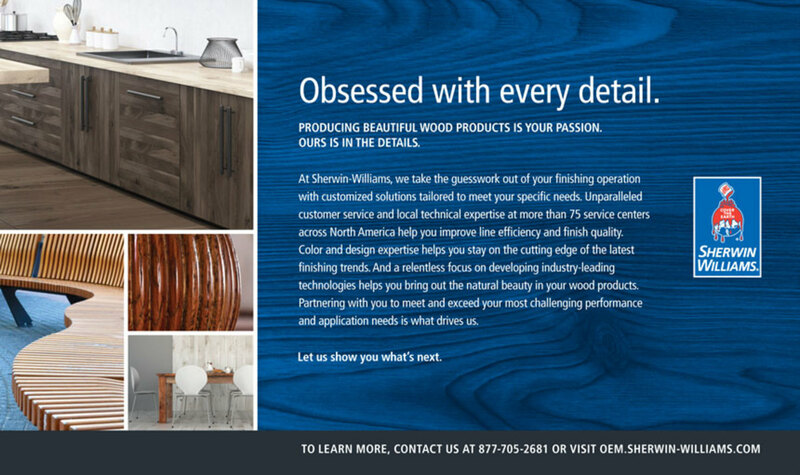 Since the people at Sherwin-Williams take the time to understand the nuances of each woodshop’s operation, they can provide the best solutions to meet specific aesthetic, performance, and process requirements. And they’re obsessed with what’s next — constantly focusing on the future to bring shops the products and resources that help position them ahead of the market. 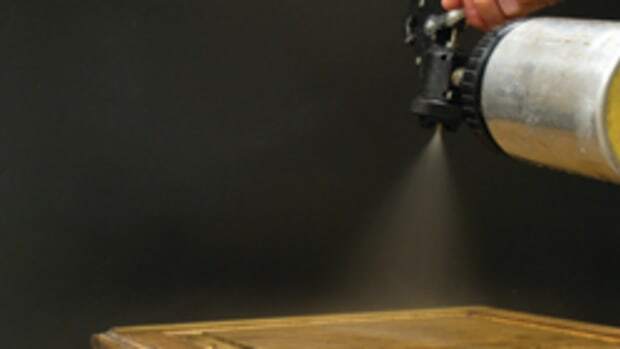 A woodshop’s customers demand coatings that can stand up to everyday wear and tear, which is why more industrial wood OEMs continue to trust Sherwin-Williams to provide the industrial wood technologies that will help them exceed those expectations. With a full range of systems to match any production requirements, the company’s topcoats and undercoats interact to form a complete system with a result that is not only beautiful, but durable, too. Because an exceptional finish takes more than a coating, Sherwin-Williams’ solutions come with a commitment to providing on-site technical expertise and responsive delivery and stocking programs, with more than 75 service centers across North America to provide local support throughout the entirety of the finishing process. 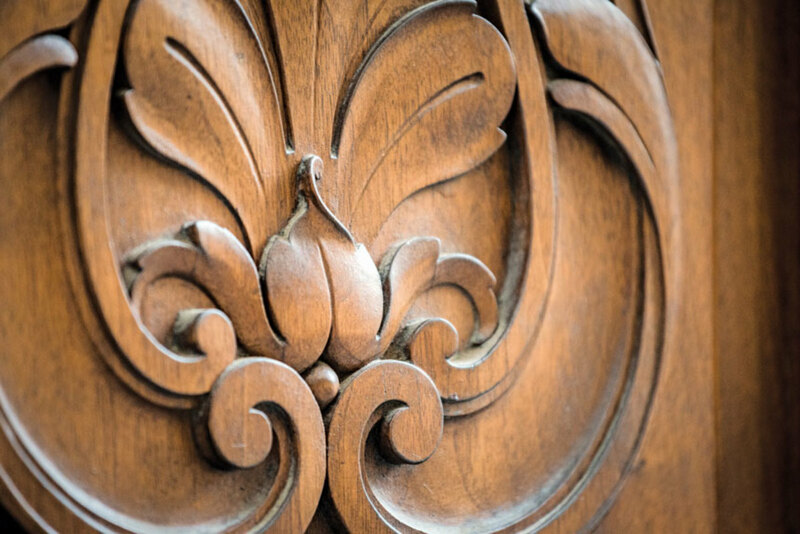 A woodworker knows that the right color and finish can make all the difference in giving his or her product a competitive edge. That is why Sherwin-Williams does more than manufacture the best-quality coatings. The company’s Global Color and Design Center in Greensboro, North Carolina, can also help bring those coatings and finishes to life on a product. 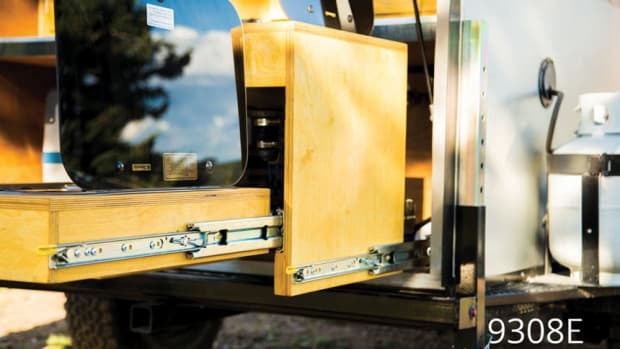 It will deliver the latest in color and design trends or application techniques, while helping a shop raise finishing line efficiencies to deliver a high-quality finish and reduce rework. You’re always perfecting your craft. Now let Sherwin-Williams show how it can be your solution. What really makes that wood look so good? What is your level of stick-to-itiveness? This month, we take stock of recent news, writing opportunities at your favorite magazine, and set the record straight.